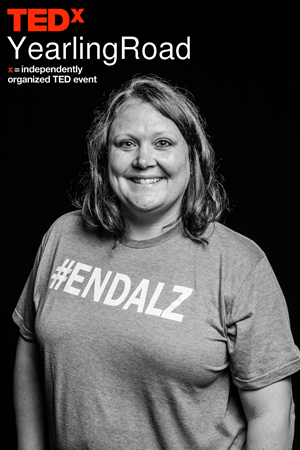 Jill Grosenheider-Rudd is doing everything she can to #EndAlz. As Walk Director of the Columbus Walk to End Alzheimer’s, she works to unite the community in a day filled with hope for those navigating the fight against Alzheimer’s disease. Through her work with Alzheimer’s, she has created Cups and Conversation, a project helping others realize the small moments in life by living in gratitude. She believes simple conversations or deliberate reflection can lead to big ideas, wonderful collaborations, lifelong friendships, and so much more.